The increase in net sales of iTunes, Software and Services in the first quarter of 2014 compared to the first quarter of 2013 was due to growth in net sales from the iTunes Store, AppleCare and licensing. The iTunes Store generated a total of $2.4 billion in net sales during the first quarter of 2014 versus $2.1 billion during the first quarter of 2013. 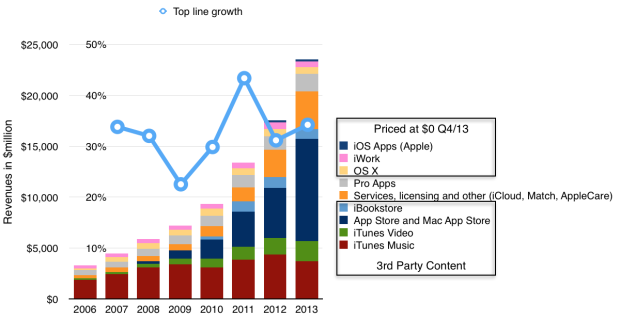 Growth in the iTunes Store, which includes the App Store, the Mac App Store and the iBooks Store, was driven by increases in revenue from App sales reflecting continued growth in the installed base of iOS devices and the expansion in the number of third-party iOS Apps available. Net sales of digital content, including music, movies, TV shows and books, from the iTunes Store was relatively flat in the first quarter of 2014 compared to the first quarter of 2013. During the last quarter Apple changed the pricing for iWork and OS X to zero1. I estimate the net effect to have been a reduction in revenues from those software titles of about $350 million for the quarter. 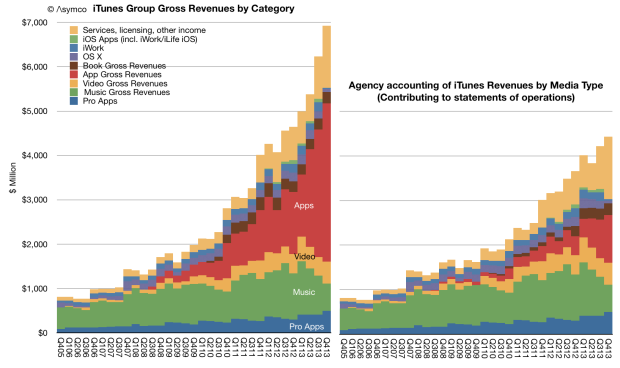 Nevertheless, increases in services and app revenues means that the iTunes total reported revenues increased to a new record. The total with estimated contributions by media and service components is shown below right. Note that revenues do not reflect total billings. 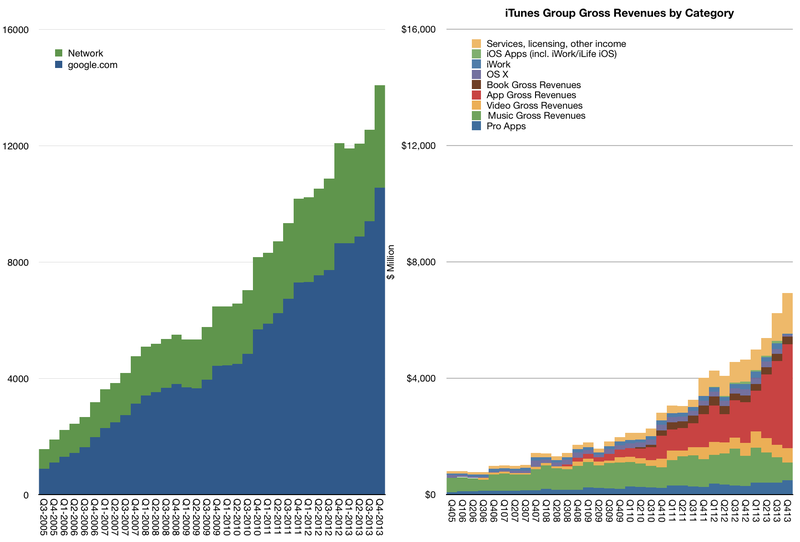 As Apple reports only the 30% of App transaction values, the full iTunes/Software/Services transaction values are shown in the above graph on the left. 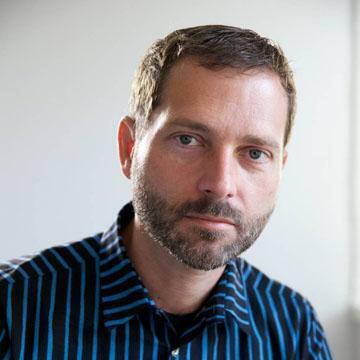 Although iTunes/Software/Services are not usually included in a “sum-of-the-parts” total contributing to Apple’s overall enterprise value, the scale of volume and value of transactions is becoming harder to ignore.